Exponential growth also has a lesser known sidekick called doubling time. Doubling time is a measure of how fast a population or bank balance will double, given a certain growth rate. There is some clever maths behind it, but trust me when I say that doubling time is calculated by dividing 70 by the rate of growth. So, a growth rate of 7 per cent means you’ll double up every 10 years (70 divided by 7). This technique is really useful for unpacking and analysing growth projections. It’s another perspective on the same numbers, but the difference in conclusion can be huge. Let’s apply this to a more down to earth scenario. If I said the dairy industry believed a steady output growth of 4 per cent per annum was sustainable, you might think that sounded pretty reasonable. But If we apply the doubling time approach, it looks a little different. effluent ponds, double the area under farm, double the nitrate river run- off…and you start to see the problem when it doubles again in the next 17.5 years, and the next, and so on. Farm input prices keep going up, while farm gate prices don’t always have the same sense of direction. Doing the same thing but more of it is a mug’s game if you are doubling impacts and production, but not profit. It reminds me of the coffee shop owner in Wellington a few years back who was losing 50 cents on every cup of coffee sold, he reckoned, but he was hoping to make up for it in sales volume. Unless the industry—and farming as a whole—can get greater value from production, while reducing impact on the land, then exponential growth will catch us up and kick us in the pants. There are plenty of examples of higher-margin, lower-impact production out there. Just this week, the Dairy Goat Cooperative was in the news, desperate to recruit more farmers to keep up with demand for a high- margin product: Baby formula for tots that can’t stomach cows’ milk. The average dairy goat farmer makes just as much money as the average dairy farmer, but on a fraction of the land area and much less inputs. 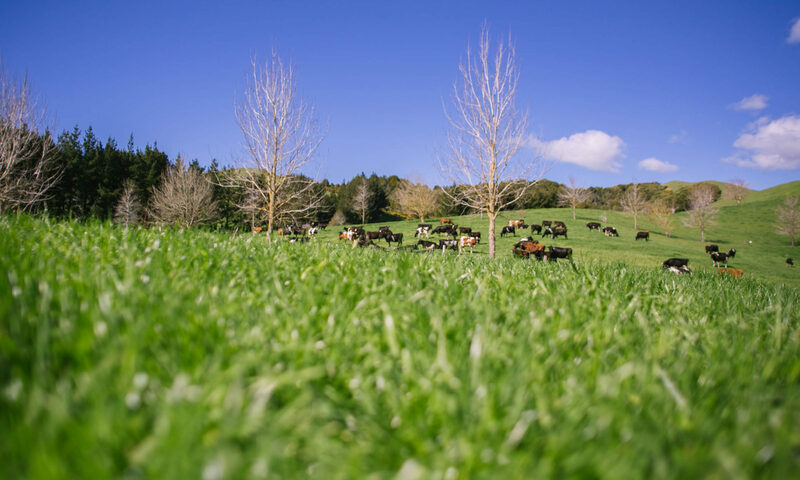 On the dairy front, it’s possible that new incentives and market signals for value-add production might come out of Fonterra’s trading among farmers (TAF) capital restructuring, but time will tell if that’s the case. I’d suggest farmers could be doing more than waiting for their industry co-ops and bodies to do this for them, but that’s a whole other discussion. The only way to get ahead of the exponential growth treadmill is to change gears into higher-margin products. You can grow your profits faster than your impact on the planet grows and we all win—especially if you put your profits into a compound interest bank account. Previous PostPrevious Peak Phosphate – do we have time to mitigate? Next PostNext Mr English, who has the substance abuse problem?